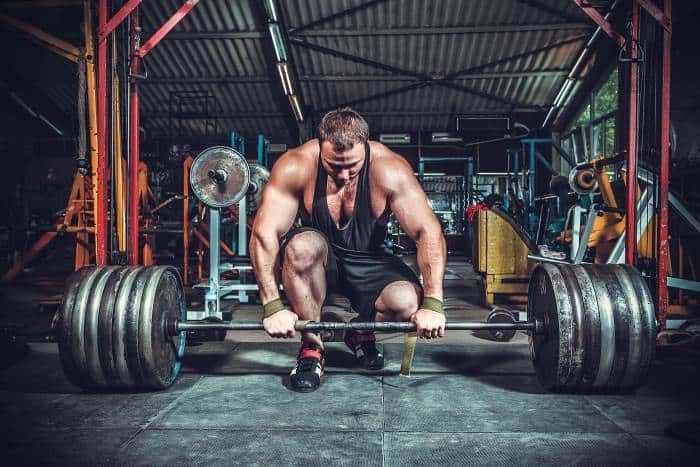 The benefits of deadlifting should be appealing to any serious lifter. Think of the deadlift as an appreciating asset: it is one of the best investments of your training time that you can make. And it pays massive dividends in your progress over time. Increase Total Body Strength. The deadlift is phenomenal not just for targeting one or two muscles, but for intensely working all the muscles in your body simultaneously. You’ll be hitting your quads and hamstrings, your lower back and core, and even your arms and shoulders. It’s all encompassing. Train Your Posterior Chain. The posterior chain (back, hamstrings, glutes) bears the brunt of the work. These muscles are often underdeveloped, which leads to an imbalanced musculature, poor hip drive and sub-par posture. Build Muscle. Since the deadlift targets so many muscle groups, you’ll be building a ton of muscle all over your body. This is one of the best mass builders that you will be able to utilize and harness for your own benefit, and you’ll be packing on pounds of muscle. Bolster Your Core Strength. Seeing how the spinal erectors are the primary muscle trained in the deadlift, the lower back obviously gets trained with great intensity. However, the abs and obliques must engage almost as intensely in order support proper spinal position. Burn More Calories. If you’re searching for exercises to lose weight quickly, then look no further. Once again, because deadlifts utilize so many different muscle groups, you’ll be using more energy than the Energizer Bunny. In other words, you’ll burn a bunch of calories, both during and after your training session. Boost Your Testosterone Levels. You’ve heard it mentioned several times already, but deadlifts basically work out your entire body. This means that you will be increasing your testosterone levels substantially, enabling you to build more size and strength even in the muscles you aren’t targeting. The deadlift is one of the best weight lifting exercises of all time. Arguably, it’s the best. That said, it is imperative you know how to deadlift correctly. Otherwise you won’t reap the benefits of deadlifting, but you will risk potentially serious injury.